Cellular inflammation refers to inflammation of the cell membrane that affects the way the cell communicates and detoxes. The cell wall is made up of two layers of fat - cholesterol and saturated fat. We have receptors on our cells that are like antennas which listen for signals for amino acids, vitamins, minerals and hormones like insulin. If a cell is inflamed, the receptors on the cell membrane work poorly - they absorb nutrients and get rid of waste poorly. Damage and death of inflamed cells can lead to disease. How does cellular inflammation occur? The body's cells are constantly bombarded with pro-inflammatory substances. These include free radicals, unhealthy foods (sugar, refined carbohydrates, bad fats, processed foods), heavy metals (see our March 2019 newsletter), toxic waste and other toxic chemicals, pesticides, and infectious agents (bacteria and viruses). Inflammation is the process by which the cells react to and deal with these foreign substances, and the cellular inflammation can become chronic. Why is cellular inflammation important? Chronic inflammation at the cellular level is important because it is dangerous to many aspects of our health. The majority of people suffer from chronic cellular inflammation. Inflammation causes our bodies to age prematurely and can actually damage our DNA. It is not an overstatement to say that most chronic diseases are caused by chronic cellular inflammation. Some are obvious, such as arthritis; others you might not suspect, including heart disease, diabetes, cancer, thyroid disease, and neurodegenerative diseases, such as Alzheimer's disease. How can I decrease cellular inflammation? The good news is that there is a great deal you can do to decrease cellular inflammation. Avoid sugars and refined carbohydrates. Avoid trans fats - these include margarine and all hydrogenated or partially hydrogenated oils. Also avoid vegetable oils including canola oil, corn oil, soybean oil, sunflower oil, sesame oil and safflower oil. They are highly processed and oxidize easily with light, air or heat. Avoid processed foods. They invariably contain sugars and unhealthy fats. Exposure to toxins is a major factor in chronic inflammation. They could include pesticides, heavy metals, air pollution, and mold. Effective hydration is a key strategy to make sure the body can effectively get rid of these toxic substances. As well as helping with elimination of toxic substances, your cells require adequate hydration to carry out their functions properly. A diet high in vegetables, legumes and fruits is anti-inflammatory. Fatty fish that are wild caught (salmon, tuna, mackerel and sardines) are healthy sources of omega-3 fatty acids. Green tea has anti-inflammatory and analgesic properties and may be a good natural treatment option for chronic inflammatory disorders. Curcumin, which comes from the spice turmeric, has tremendous ability to heal in many areas of disease which may be due its ability to reduce inflammation. Tart cherry juice has been shown to reduce the inflammatory effects of strenuous exercise and minimize post-exercise muscle pain. Proteolytic enzymes are helpful in cases of arthritis and related diseases; they are anti-inflammatory and beneficial for vascular health. Omega-3 fatty acids are important to balance the excess quantities of inflammatory omega-6 fats that most people consume in processed foods. Vitamin D (together with vitamin K2) is one of the most powerful nutrients responsible for modulating and coordinating the immune system, which results in a powerful anti-inflammatory effect. N-acetyl cysteine (NAC) helps boost glutathione which is our master anti-oxidant that regulates all other anti-oxidants in the body. Having high amounts of glutathione in the body is key for mitigating the inflammatory effects of free radicals. Daily exercise is very effective for pumping the lymph fluid and boosting circulation. All our organs need us to be active to keep them functioning optimally. If we become stagnant, the result is inflammation. We need to make it a priority on a daily basis to stretch. Avoid sitting for long periods of time. Being physically active is one way to reduce your stress levels. Meditation is increasingly recognized for its effectiveness in reducing stress and the related inflammatory markers in the body. Meditation does not have to take a long time. All it takes is sitting quietly and focusing on gently breathing in through your nose and out through your mouth for five, ten, fifteen minutes or more per day. However, if meditation is just not your thing, yoga, pilates, outdoor walks, painting, singing, cooking and other enjoyable activities can also considerably reduce your stress levels. Avoid the blue light from your electronic devices (smart phone, tablet etc.) for one to two hours before you go to bed by wearing blue light blocking glasses. Sleep in a dark room. Limit caffeine to the morning and very early afternoon. Stick to a consistent schedule of going to bed and getting up at the same time every day. Develop a pre-sleep routine to help you relax and wind down. I am offering a service in the office to test for cellular inflammation, together with doing an in depth cellular detoxification program. Remember, if the cell is toxic, nutrients cannot get into the cell and neither can toxins leave the cell. Hormonal receptors are also blunted so they cannot read the signals. You may be wondering why you are not getting the results you are looking for even though you are eating healthy and taking supplements. It may be time to look deeper. If you are one of those individuals, or you know that you have heavy metal toxicity due to mercury fillings or exposure to lead, you will certainly need the right detox, as well as the right binder to to properly detox. I hope this information helps you to reduce your exposure to the common causes of inflammation, as well as to benefit from the various ways you can reduce cellular inflammation. Birt M. What's the big deal about cellular inflammation? meghanbirt.com/2013/09/inflammation/ Accessed March 4, 2019. Bett C. What is cellular inflammation? ausnaturalcare.com.au/health/life-style/what-is/cellular-inflammation Accessed March 4, 2019. Benson J, Darnell L. Inflammation: 3 ways disease is created through cellular inflammation. revivedliving.com/inflammation-3-ways-disease-is-created-through-cellular-inflammation/ Accessed March 4, 2019. Pompa D. R4 Reducing cellular inflammation oxidative stress & nitric oxide cycle. drpompa.com/cellular-health/r4-reducing-cellular-inflammation-oxidative-stress-and-nitric-oxide-cycle/ Accessed March 4, 2019. Finkel E. Brain inflammation sows seeds of Alzheimer's. cosmosmagazine.com/biology/brain-inflammation-sows-the-seeds-of-alzheimer-s Accessed March 20, 2019. Jockers D. 5 ways to reduce inflammation quickly. drjockers.com/5-ways-reduce-inflammation-quickly/ Accessed March 4, 2019. 8 surefire ways to reduce cellular inflammation. dailyhealthalerts.com/8-surefire-ways-to-reduce-cellular-inflammation/ Accessed March 19, 2019. Follow Ramila on Facebook to receive educational video updates from Ramila. What is berberine? Berberine is a yellowish alkaloid found in several plants, including European barberry, goldenseal, Chinese goldthread, Oregon grape, phellodendron (cork tree) and tree turmeric. 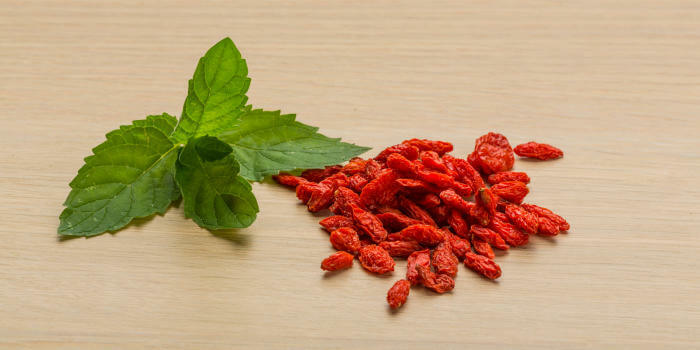 Berberine has long been a part of traditional Chinese and Ayurvedic medicine, but the western world is just beginning to be aware of it. "Berberine IR naturally supports healthy blood glucose levels by up-regulating enzymes that trigger blood glucose metabolism. Utilizing a time-honoured ingredient found in both Traditional Chinese Medicine (TCM) and Ayurvedic medicine, Berberine IR works to support blood sugar balance and glucose metabolism through a unique cellular action. Berberine, a constituent of certain plants, helps activate a key enzyme that supports blood glucose metabolism, turning your cells from “idle” to “on” and helping them to use glucose efficiently." One study compared taking 500 mg of berberine 2 to 3 times daily for 3 months with taking the common diabetes drug metformin. Berberine was able to control blood sugar and lipid metabolism as effectively as metformin, with the researchers describing it as a "potential oral hypoglycemic agent with beneficial effects on lipid metabolism." In addition to a healthy diet and regular exercise, berberine can help you maintain a healthy weight. It helps to activate adenosine monophosphate-activate kinase (AMPK), also known as the body's "metabolic master switch". AMPK is responsible for kick-starting your metabolism and encouraging your body to burn the calories it takes in, rather than storing them as fat. Berberine has also been shown to reduce serum cholesterol levels, including LDL cholesterol, as well as triglyceride levels in patients with type 2 diabetes. It may also help to increase levels of HDL (high density lipoprotein), the 'good' cholesterol. People who suffer from SIBO symptoms have excessive bacteria in their small intestines. Conventional treatment of SIBO is limited to antibiotics, with a variable response rate. Berberine, together with digestive enzymes, is helpful in reducing bacterial overgrowth. Berberine exerts selective antimicrobial action against a wide range of disease causing organisms linked to SIBO, yet exerts no action against health-promoting species. Berberine may help improve immune function by maintaining healthy gut flora, providing antioxidant properties and activating white blood cells, which are responsible for inhibiting infections. The majority of your immune system (about 70 percent) is in your gut, so it makes sense that berberine's ability to minimize the bad bacteria while promoting beneficial strains would help your immune system. Research suggests that berberine may be a useful supplement for people with NAFLD, because it helps decrease fat buildup in the liver and regulate hepatic lipid metabolism. May help ease depression and anxiety. May promote optimal joint health. May assist in improving memory, spatial learning and overall cognitive functioning, as well as with neurodegenerative diseases such as Alzheimer's disease. Some authors have compared berberine to curcumin for its effectiveness in so many different aspects of our health. I encourage you to keep it in mind! Price A. Berberine: the plant alkaloid that helps treat diabetes & digestive problems. draxe.com/berberine/ August 2, 2018, Accessed January 14, 2019. Berberine and its many benefits. enzymedica.com/blogs/naturaldigestivehealth/berberine-and-its-many-benefits February 24, 2018. Accessed January 14, 2019. Mercola J. Berberine helps boost your mitochondrial and metabolic health. articles.mercola.com/vitamins-supplements/berberine.aspx Accessed January 14, 2019. 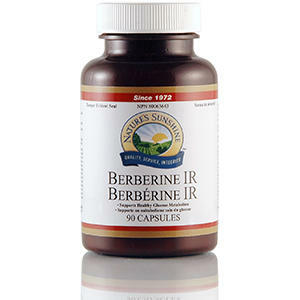 Nature's Sunshine website naturessunshine.com/ca/product/berberine-ir-90-caps/1398/ Accessed January 31, 2019. Yin J, Xing H, Ye J. Efficacy of berberine in patients with type 2 diabetes. Metabolism 2008;57(5):712-717. Zhang Y, Li X, Zou D et al. Treatment of type 2 diabetes and dyslipidemia with the natural plant alkaloid berberine. J Clin Endocrinol Metab 2008;93:2559-2565. Murray M. What is SIBO? And what can help? enzymedica.com/blogs/naturaldigestivehealth/what-is-sibo-and-what-can-help July 24, 2018. Accessed January 14, 2019. Jiang WH, Li SH, Li XH. Therapeutic potential of berberine against neurodegenerative diseases. Sci China Life Sci 2015;58(6):564-569. Richard Branson, billionaire and founder of the Virgin Group advises writing your goals down. He claims the simple act of writing them down will help you stick to them. He says he has always made lists of things he wants to achieve because it helps him make sense of his ideas and track his progress. It doesn't matter if you use pen and paper or your cell phone to jot down your ideas. Branson also says it's a good idea to set both short-term and long-term goals so you can feel a sense of accomplishment along the way. According to Tony Robbins, business and life coach, those who stick to their resolutions have clarity of purpose and a plan. Your WHY is extremely important - those who stick to their resolutions have an understanding of why they're doing what they're doing. There has to be a larger motivating drive underpinning the goal. Once you understand what that is, the next step is to create a strategy and identify tools that will help you accomplish your goal. Simply put, you need a plan. Robbins says no matter how many mistakes you make or how slow you progress, you are still way ahead of everyone who isn't trying. Means goals don't stand alone, but are usually stepping-stones to something else. There is usually a 'so' in them. For example, get good grades so you can get into a good university, so you can get a good job, so you can make lots of money, so you afford a nice house, car and so on. 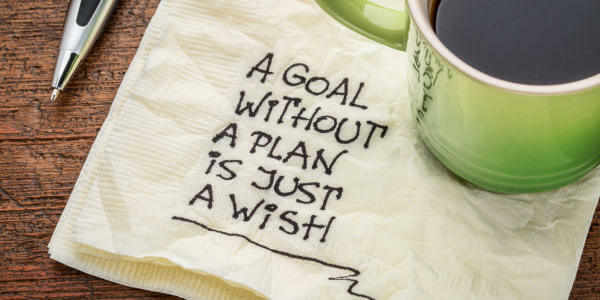 Means goals are often about doing things you 'should' do, or are expected to do by your family, community, and so on. Vishen gives the examples of thinking you should get a university degree to have a fulfilling job, or that you should get married to have love in your life. It's quite different to restate this as wanting to be in a loving relationship, and to have consistent opportunities to learn and grow. End goals are described as being about following your heart. Time flies when you're pursuing them. You may work hard toward these goals, but you feel it's worth it. When you're working on an end goal, it doesn't feel like 'work'. Working on an end goal recharges you, it doesn't drain you. End goals are often feelings, for example to feel happy. Vishen has found that end goals fall into three different buckets. The first is experience. We're here to experience all the world has to offer - not money, not objects, but experiences. The second is growth. Growth makes life an endless journey of discovery. The third is contribution. It is what we give back based on our experience and growth. Goals based on these three areas can be lifelong goals, or, for the New Year, you could think in terms of a one year time period. Create a bucket list of things you want to experience or accomplish this year. Come up with a list of twelve 30-day challenges, and complete one for each month. This would consist of setting a small goal that can be completed in 30 days, as well as the specific action you will take to accomplish the goal. Give yourself a yearly challenge. Create a list of things to look forward to. Reboot an area of your life. Pick one area of your life that you're not happy with and decide how you're going to improve it. I hope you are able to set goals that you truly want to achieve, not that you feel you should achieve. Wishing you every success in achieving your goals and a happy, healthy 2019! Mejia Z. Billionaire Richard Branson: here's the secret to sticking to your New Year's resolutions. cnbc.com/2018/01/03/branson-shares-the-secret-to-sticking-to-your-new-years-resolutions.html January 3, 2018. Accessed December 5, 2018. Clifford C. Tony Robbins: This is the difference between people who stick to their New Year's resolutions and those who don't. cnbc.com/2018/01/02/tony-robbins-how-to-stick-to-your-new-years-resolutions.html January 2, 2018. Accessed December 5, 2018. Lakhiani V. The Code of the Extraordinary Mind. New York: Rodale Wellness, 2016. Fabrega M. 10 alternatives to New Year's resolutions. daringtolivefully.com/new-years-resolutions-alternatives Accessed December 5, 2018. Taking supplements is no substitute for a healthy diet. However, doing all we can to eat healthy, whole foods may still not be enough to get all the nutrients we need. Here I suggest a few supplements that I consider to be extremely important to our health, that we're unlikely to get in adequate amounts from other sources. ...provides many beneficial effects; for example, it is an effective anti-inflammatory, a natural analgesic, and is clinically proven to be an effective antidepressant. It may also promote brain health, according to a study that has shown it may be effective against Parkinson's disease. In addition, curcumin may help maintain normal heart function. Curcumin is known for its effectiveness in cancer treatment and prevention. In particular, it has been shown to be effective in treating colorectal cancers, both as an adjuvant to chemotherapy and on its own. Clinical trials are underway using curcumin to treat several other types of cancer. ...are anti-inflammatory, help lower triglycerides and blood pressure, and may be good for the brain (memory) and the heart. The typical North American diet is high in processed, refined vegetable oils that are high in omega 6 which is inflammatory. Omega 3 supplements help to offset this inflammation. The ability of omega 3 to reduce inflammation may help reduce the risk of arthritis. It can reduce the risk of type 2 diabetes and of several forms of cancer, including breast cancer. Omega 3 is effective in reducing ADHD symptoms in children. It also reduces muscle soreness. ...is a supplement that is often overlooked, but extremely important. It is involved in over 300 biochemical reactions and most people do not get the ideal amount. Among other things, it opens up the arteries, lowers blood pressure, regulates blood sugar, and helps reduce muscle cramps. It boosts the immune system and fights inflammation. It also acts as a laxative, so beware of taking too much! ...are important for maintaining a healthy gut or balanced microbiome - the collection of good bacteria and yeasts that inhabit your digestive system (see our newsletter September-2016). About 80% of our immune system is located in our gut, and up to 95% of serotonin (the neurotransmitter that regulates mood) is produced in our gut. It's clear that a healthy gut is important! Taking a daily probiotic can help balance your microbiome, which improves digestion, promotes a normal bowel pattern and general good health. ...will help you cover the basics and include things you might not think of taking separately, such as selenium and folic acid, as well as other B vitamins. Nature's Sunshine offers the extremely high-quality Super Vitamins and Minerals, which I highly recommend. I hope these essential supplements keep you healthy not just this winter, but all year long! Mercola J. The many potential health benefits of curcumin. articles.mercola.com/vitamins-supplements/curcumin.aspx Accessed October 29, 2018. Fadus MC, Lau C, Bikhchandani J, Lynch HT. Curcumin: an age-old anti-inflammatory and anti-neoplastic agent. Journal of Traditional and Complementary Medicine 2017;7:339-346. Rice J. Create a capsule cabinet of essential supplements. March 1, 2017. amazingwellnessmag.com/features/essential-supplements Accessed October 23, 2018. Myers A. 4 essential supplements everyone should take. amymyersmd.com/2018/09/4-essential-supplements/ Accessed October 23, 2018. The comfort foods that we enjoy so much in cooler weather tend to be heavy, high in fat and/or refined carbs, and sometimes they involve processed food. But they can be modified without losing flavour or reducing our satisfaction with them. First, most fats aren't bad for us as we've been led to believe, certainly if consumed in moderation. The only fat to avoid totally is trans fat. Some vegetable oils have drawbacks, e.g. canola oil and soybean oil may be genetically modified and contain glyphosate. Many vegetable oils also contain high levels of omega-6 fatty acids. We need some omega-6, it's an essential fatty acid, meaning that the body does not produce it, and needs to obtain it from food. However, omega-6 causes inflammation, so we need to limit the amount we consume in relation to omega-3 to not more than a ratio of 2:1. Extra virgin olive oil and avocado oil are excellent choices. While you can still find a lot of negative 'information' about butter, there is an increasing amount of research demonstrating that it is healthy, preferably from grass-fed, organic sources. Grilled cheese tops the lists of many people. You can make it healthier by using organic whole grain bread, and you can even add roasted veggies. Macaroni and cheese is another favourite. You can use organic whole wheat or brown rice macaroni. Also, avoid processed cheese in powder form and use real cheddar (as strong or mild as you like). Another suggestion is to add puréed butternut squash, pumpkin or cauliflower to your cheese sauce. Pasta - for any pasta dish, you can use organic whole grain or brown rice pasta to create a healthier comfort meal. For lasagna, eggplant slices can also be used as a substitute for pasta. Meatloaf can be made with ground turkey rather than beef (or a combination of the two) to decrease calories and fat. It can also include veggies so you use less meat, e.g. chopped mushrooms, celery and bell peppers. Substituting oatmeal for breadcrumbs increases the healthiness of meatloaf, as well. Beef stew can be low-carb if you substitute turnips for potatoes - the texture is similar. French fries can be baked with seasoning. For an even healthier snack, you can bake sweet potato fries. Fried chicken can be baked to give you the same crunchy on the outside, juicy on the inside combination without the use of a deep fryer. Mashed potatoes can be creamy if you use olive oil and broth rather than cream and butter. You can add cauliflower to further reduce calories and increase healthiness. Homemade chicken soup actually is healthy and gives you the option of avoiding the excessive salt of store-bought versions. You can increase its healthiness by adding garlic to help prevent colds, as well as adding other healthy vegetables, such as sweet potatoes instead of noodles. Chocolate is healthy; it contains antioxidants. Stick to dark chocolate that's at least 70% cocoa for maximum benefits - milk chocolate is sweeter and contains much less cocoa. Brownies can be healthy. You can find recipes on the web for various healthy versions of brownies, e.g. flour-free, low or no sugar, zucchini brownies - there is no end of variations that claim to be just as chocolaty and delicious as any less healthy version. Are you craving ice cream? Coconut milk ice cream or almond milk ice cream are healthy substitutes. As you can see, we're trying to avoid or reduce sugars and other refined carbohydrates, and in some cases, reduce the calories from fat, so you can apply these general principles to any other comfort food that appeals to you. If all else fails and nothing but the 'real' comfort food will do, don't feel guilty for an occasional lapse. Tomorrow is another day! Link R. 11 best healthy fats for your body. draxe.com/healthy-fats/ July 25, 2018. Accessed September 26, 2018. Steinhilber B. Why we crave comfort foods - and how to make them healthier. nbcnews.com/better/health/why-we-crave-comfort-foods-how-make-them-healthier-ncna840016 January 24, 2018. Accessed September 25, 2018. Fischer K. 10 tips for healthy comfort foods. eatthis.com/healthy-comfort-foods/ September 16, 2016. Accessed September 16, 2018. Healthy comfort food recipes. eatingwell.com/recipes/19699/cooking-methods-styles/comfort/ Accessed September 16, 2018. Glassman K. 5 comfort foods that are actually really good for you. today.com/health/5-comfort-foods-are-actually-really-good-you-t119907 December 11, 2017. Accessed September 25, 2018. It's only fairly recently that the neuroplasticity of the brain has been understood - see our newsletter of October 2015. The brain is able to reorganize pathways, create new connections and even build new neurons throughout its entire lifetime. It is not at all the fixed structure it was believed to be until recently. Get mental stimulation. Research has shown that using your brain stimulates new connections between nerve cells and may help the brain generate new cells, and building up a functional reserve that provides a hedge against future cell loss. Any mentally stimulating activity should help, e.g. read, take courses, try word puzzles or math problems. Activities that require manual dexterity, as well as mental efforts, such as drawing, painting, or crafts are very helpful. Get physical exercise. Regular exercise increases the number of tiny blood vessels that bring oxygen-rich blood to the region of the brain responsible for thought. Exercise results in the development of new nerve cells and increases the connections between brain cells (synapses). Exercise also lowers blood pressure, improves cholesterol levels, helps blood sugar balance and reduces mental stress, all of which can help your brain as well as your heart. Get quality sleep. The brain does not shut off when we're asleep. Much of the work going on while you sleep involves consolidating the learning that took place during the day. If you do not sleep properly, you not only lose the benefit of your learning experiences, but you will also not learn as well the following day. Adults need between seven and nine hours of sleep each night to benefit fully and perform at their cognitive peak. See our June 2018 newsletter on sleep. Blueberries help to protect the brain from oxidative stress, and may reduce the effects of age-related cognitive decline. Studies have also shown that diets rich in blueberries significantly improved both the learning capacity and motor skills of aging rats, making them mentally equivalent to much younger rats. Wild salmon, and other fish, such as herring and sardines, are rich in omega-3 essential fatty acids, which are necessary for brain function. Omega-3s also contain anti-inflammatory substances. Nuts and seeds are good sources of vitamin E, which protects against cognitive decline as we get older. Avocados are almost as good as blueberries in promoting brain health. The monounsaturated fat in avocados contributes to healthy blood flow which results in a healthy brain. Whole grains, such as oatmeal, whole-grain bread, and brown rice can reduce the risk of heart disease; the improved blood flow benefits the brain. Note: If you're gluten sensitive, avoid wheat and other grains containing gluten. Freshly brewed tea contains a modest amount of caffeine which, when used judiciously, can boost brain power by enhancing memory, focus and mood. Tea also has powerful antioxidants, which promote healthy blood flow. Bottled or powdered teas are not recommended (the tea must be freshly brewed), but tea bags are fine. Dark chocolate contains powerful antioxidants, and includes natural stimulants (including caffeine) which enhance focus, concentration and stimulate the production of endorphins, which helps improve mood. One half to one ounce a day is all you need; more is not better! Protect your head. Moderate to severe head injuries, even without diagnosed concussions, increase the risk of cognitive impairment. Build social networks. Strong social ties have been associated with a lower risk of dementia, as well as lower blood pressure and longer life expectancy. Meditate. Research shows that meditation improves concentration and memory. 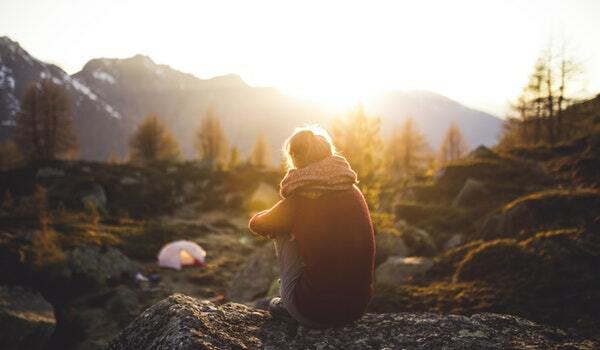 Studies have also tracked the growth in important areas of the brain associated with intelligent thinking over time as study participants practiced meditation. Meditation helps calm the mind. Manage stress well. Avoid long-term chronic stress (meditation, physical activity and strong social ties are helpful). Stress deliberately prevents good learning. The stress response prioritizes immediate information and actually shortens attention span. Don't abuse alcohol. Excessive drinking impairs cognitive function. 12 ways to keep your brain young. June 2006; updated January 16, 2018. health.harvard.edu/mind-and-mood/12-ways-to-keep-your-brain-young, accessed July 24, 2018. Roche B. 10 ways to improve your brain health. July 17, 2014. psychologytoday.com/us/blog/iq-boot-camp/201407/10-ways-improve-your-brain-health, Accessed July 24, 2018. Sorgen C. Eat smart for a healthier brain. webmd.com/diet/features/eat-smart-healthier-brain#1 Accessed August 30, 2018. “Will I ever be able to dance at my niece’s wedding?" I asked myself. My feet are cramping and I cannot stand to wear shoes. I happened to have an appointment with Ramila and Megs on the day before the wedding. It seems I had been sensitive to magnesium all along. One desensitization treatment and Voila! I was able to dance the evening away! Thank you much Ramila and Megs. I hope you're enjoying a safe, healthy summer! One thing we tend to do more of in summer that isn't so healthy is drink soft drinks. Numerous studies have shown the negative health effects of drinking soft drinks on your waistline and your teeth. However, there are far more health risks than many of us may realize. Soft drinks contain high amounts of sugar. A 20 ounce can of (regular) Coca-Cola has the equivalent of 17 teaspoons of sugar and 240 calories - empty calories with no nutritional value. It would take the average adult over one hour of walking to burn off the 240 calories. The high levels of sugar in soft drinks place a lot of stress on your pancreas, potentially leaving it unable to keep up with the body's need for insulin. Drinking one or two sugary drinks per day increases your risk of type 2 diabetes by 25%. Similarly, drinking one or more soft drinks per day may increase your risk of developing metabolic syndrome and heart disease. In the Framingham study of over 9,000 participants, those who consumed one or more soft drinks per day over a four year period had a 48% increased risk of metabolic syndrome compared to those consuming less than one soft drink daily. Drinking soft drinks changes your metabolism. In one study, participants drank 140 grams of sugar every day for four weeks (less than two 20 ounce cans of Coke). Their metabolism changed during that time making it more difficult for them to burn fat and lose weight. Daily soft drinks and other sugar sweetened drinks are linked to non-alcoholic fatty liver disease (NAFLD). In one study, 2,634 individuals completed a CT scan to measure the amount of fat in their liver. There was a higher prevalence of NAFLD among people who reported drinking more than one sugar-sweetened drink per day compared to people who said they drank no sugar-sweetened beverages. Soft drinks increase the risk of obesity in children. Each additional soft drink or other sugary drink consumed per day increases the likelihood of a child becoming obese. Diet soft drinks contain artificial sweeteners. Opting for diet soft drinks may lower your calorie intake, but artificial sweeteners are linked to many illnesses including cancer. Diet soft drinks do not help you lose weight. A University of Texas Health Science Center study found that the more diet soft drinks a person drank, the greater their risk of becoming overweight. Diet soft drinks are linked with an increased risk of stroke, heart attack and dementia, as well as metabolic syndrome and type 2 diabetes. The many soft drinks that contain caffeine dehydrate - they are diuretics. When the body's cells are dehydrated, they have difficulty absorbing nutrients, and it is also more difficult for the body to eliminate waste. The caramel colouring in colas is linked to cancer. The brown colouring is made by reacting sugars with ammonia and sulphites under high pressure and temperatures, not from caramelized sugar. These chemical reactions result in the formation of 2-methylimidazole (2-MI) and 4-methylimidazole (4-MI), which, in government-conducted studies, caused lung, liver and thyroid cancer and leukemia in laboratory mice and rats. Soft drink cans are lined with BPA (bis-phenol A), which has been linked to a wide range of health problems from heart disease to obesity to reproductive problems. The acid in soft drinks wears away dental enamel. Drinking soft drinks regularly causes plaque to build up on the teeth and can lead to cavities and gum disease. Soft drinks deplete your mineral levels. Soft drinks that contain phosphoric acid remove much-needed calcium from your bones. A study of several thousand men and women at Tufts University found that women who drank three or more cola-based soft drinks per day had almost 4% lower bone mineral density in their hips; the researchers controlled for their calcium and vitamin D intake. Soft drinks have been linked to asthma. A study done in South Australia of almost 17,000 participants aged 16 years and older, showed high levels of soda consumption were positively associated with asthma and COPD (chronic obstructive pulmonary disease). Water. Many people live in a state of chronic, low-level dehydration that can affect every part of their health including cognitive performance and mental health. If you're a soft drink addict and find it difficult to switch to water, try sparkling water. If you prefer drinking flavoured beverages, try infusing drinking water with a slice of lemon, lime, orange or other fresh fruit, or combinations of fresh fruit. To infuse water, you can try an infusion bottle, or simply make up a pitcher of water plus your choice of fruit (thinly sliced) and chill it in the refrigerator for four hours or overnight for a refreshing treat. Green tea is one of the best beverages for cancer prevention, and also improves artery function, thereby reducing the risk of cardiovascular disease. Note that adding milk (either cow's milk or soy milk) has been found to dramatically reduce the availability of the antioxidants in tea. Adding lemon, on the other hand, increases levels of antioxidants. Hibiscus tea was found to be the highest in antioxidants, in a study of 283 beverages. Hibiscus tea can be quite tart. Watermelon and lime can be added to create an interesting flavour combination. Water with apple cider vinegar has been used as a folk remedy for many ailments. There are many health benefits of consuming vinegar with a meal, including a reduction in the spike in blood sugar, insulin and triglycerides. It also increases the feeling of being full after a meal. Vinegar has also been found to reduce body weight and body fat mass in a recent Japanese study. White tea is the least processed (followed by green, then oolong, then black). White tea has a light, delicate flavour. Plain white tea doesn't have as high a level of antioxidants as green tea, but when combined with lemon, the level of antioxidants increased to a much higher level than green tea with lemon. McFarland E. 21 ways drinking soda is bad for your health. Food and Health July 25, 2016, foodrevolution.org/blog/category/blog/food-and-health/ Accessed July 4, 2018. Ten reasons to avoid soda (& how to kick the habit). Updated April 19, 2018, wellnessmama.com/379/avoid-soda/ Accessed July 17, 2018. Calderone J. The mounting evidence against diet sodas. May 24, 2017, consumerreports.org/soda/mounting-evidence-against-diet-sodas/ Accessed July 17, 2018. Mercola J. Give up soda. January 10, 2018, articles.mercola.com/sites/articles/archive/2018/01/10/drinking-soda-health-risks.aspx Accessed July 17, 2018. The 5 healthiest beverages you should be drinking now. foodrevolution.org/blog/healthiest-beverages/ Accessed July 4, 2018. Ramila created a nutritional plan for me. She also taught me how to balance out my nutritional needs and what kinds of foods eat and to avoid. I started seeing major differences in my body and overall health in just 3 weeks. I had more energy, my headaches were fewer to none, and my feet and joints didn’t hurt as much. I stuck to the health plan and went from a size 15 to now a size 9. I have lost 40 lbs. This is a wonderful time of year for enjoying fresh vegetables and fruits! Many people are not aware that pesticide residues are common on conventionally grown produce, even after it is carefully washed or peeled. I really don't want to spoil your enjoyment, but I thought it would be helpful to let you know about the fruits and vegetables on this year's 'Dirty Dozen' list which is produced by the U.S. Environmental Working Group. On a more positive note, the 'Clean Fifteen' list shows produce with the least exposure to pesticides. I'm not suggesting that you necessarily stop eating produce on the Dirty Dozen list, but you definitely want to consider buying organic versions of these fruits and vegetables or buying them from farms whose practices regarding pesticide use you are familiar with. You might also wish to eat more of the Clean Fifteen. The Environmental Working Group (EWG), a nonprofit and nonpartisan group, has been ranking fresh produce based on their levels of pesticide contamination (number of pesticides and amount of each pesticide) since 2004. They produce the Shopper's Guide to Pesticides in Produce™, which is intended to be a resource for consumers who are unable to buy organic produce. The EWG does its own independent analysis of the U.S. Department of Agriculture's pesticide testing. Made that a baker's dozen - this year's list includes a 13th item, hot peppers. The EWG found that hot peppers tend to be contaminated with dangerous insecticides, so they suggest buying organic hot peppers, or at least cook conventionally grown hot peppers to help reduce insecticide levels. The EWG says that rinsing produce under running tap water is a good way to reduce pesticide levels before consumption; however, research at the University of Massachusetts shows that soaking produce in a baking soda and water solution may do an even better job. The United States Department of Agriculture (USDA) tests found 230 different pesticides and pesticide breakdown products on thousands of produce samples analyzed. The EWG analyzed USDA pesticide residue data and found that almost 70% of non-organic produce sampled tested positive for pesticide contamination. How risky is eating produce with higher levels of pesticides? There is no easy answer to this question. There have been studies linking poorer pregnancy outcomes, as well as infertility in both men and women to pesticide exposure. There is also evidence that children with higher exposure to specific types of pesticides are at higher risk of being diagnosed with ADHD (attention deficit hyperactivity disorder). It's important to note that 'organic' does not mean that no pesticides were used, but that the pesticides used were derived from natural substances, not synthetic ones. While natural substances sound healthier, it depends on how much of a substance you're ingesting. As the saying goes, "The poison isn't in the substance, but in the dose." Several experts claim that the real risk is in not eating enough produce, rather than pesticide exposure. The Environmental Working Group agrees, saying, "The health benefits of a diet rich in fruits and vegetables outweigh the risks of pesticide exposure. Eating conventionally grown produce is far better than skipping fruits and vegetables." The Clean Fifteen list includes produce that is least likely to be contaminated by pesticides. Less than 1% of avocado and sweet corn samples tested positive for any detectable pesticides; they were the cleanest of all produce tested. More than 80% of pineapples, papayas asparagus, onions and cabbages had no pesticide residues. None of the produce on the Clean Fifteen list tested positive for more than four pesticides. *Note: Papayas and sweet corn in the U.S. (and sweet corn grown in Canada) is GMO unless organic, so it's best to choose organic for those. I agree that it's most important to eat plenty of fruits and vegetables for optimum health and that exposure to pesticides, for most people, is a secondary concern. If you have access to organic produce, so much the better, but many nutritionists and other experts agree that eating enough produce is extremely important. 2018 dirty dozen and clean fifteen lists rank produce items by pesticide level. Food Safety Magazine, April 10, 2018, foodsafetymagazine.com/news/2018-dirty-dozen-and-clean-fifteen-lists-rank-produce-items-by-pesticide-level/ Accessed May 31, 2018. Lunder S. EWG's shopper's guide to pesticides in produce™. April 10, 2018, ewg.org/foodnews/summary.php Accessed May 31, 2018. Axe J. Dirty dozen list: are you eating the most pesticide-laden produce? draxe.com/dirty-dozen/ Accessed May 31, 2018. Cassetty S. What a nutritionist wants you to know about pesticides and produce. April 14, 2018, nbcnews.com/better/health/produce-side-pesticides-what-nutritionist-wants-you-know-about-ewg-ncna864156 Accessed July 3, 2018. Our family is so grateful for curing us from many environmental and food sensitivities we were living with since birth. It is our new-found freedom not to have food restrictions, especially at social gatherings. We also appreciate Ramilas determination to finding relief to my son's ongoing eczema breakouts. It made a huge difference to this 15 year old boy's self-esteem. I hope you're enjoying the warmer weather and longer days. It's not the time of year that most of us are thinking about getting enough sleep; we just want to enjoy the summer. However, it's really important to remember that getting enough good quality sleep is just as important to our physical and mental health during the summer as at any other time of year. When you add all this up, you can clearly see that if you sleep too little, your life span will be shorter. Not only that, but the quality of your life will not be as good. The World Health Organization (WHO) has declared sleep loss epidemic throughout industrialized nations. Walker attributes society's apathy toward sleep to be at least partly due to the failure of science to explain why we need it. We need sleep for a large, complex number of reasons. All major organs within the body, and processes within the brain, are optimally enhanced by sleep, and impaired when we don't get enough. Within the brain, sleep enhances our ability to learn, memorize, and make logical decisions and choices. Sleep is also crucial for our psychological health; it re-calibrates our emotional brain circuits, so we can navigate the next day's social and psychological challenges effectively. Dreaming provides numerous benefits, including a 'consoling neurochemical bath' that mollifies painful memories, and a virtual reality space where the brain melds past and present knowledge, inspiring creativity. In the body, sleep restores the immune system, warding off all types of sickness, including helping to fight malignancy and prevent infection. Sleep repairs the body's metabolic state by fine-tuning the balance of insulin and circulating glucose. Sleep also regulates our appetite, helping us to make healthy choices in selecting our food, rather than giving in to cravings. Sleep helps to maintain a healthy microbiome (see our newsletter of June 2017). Adequate sleep is essential for our cardiovascular fitness, lowering blood pressure and keeping our hearts in good condition. Of course, a balanced diet and exercise are vitally important, as well, but now sleep is seen as the most important component of the three, without which, the benefits of the other two cannot be enjoyed. In short, sleep is the single most effective thing we can do to reset our brain and body health each day. Why Don't We Sleep Enough? Constant electric light and LED light delays the release of melatonin so you can't fall asleep quickly when you turn the lights off. Even a dim light will reduce melatonin levels. Blue LED lights have twice the harmful impact of the old incandescent bulbs, even when their lux intensities are matched. LED-powered laptop screens, smartphones and tablets also have a real impact on melatonin release and ability to get to sleep. We keep our bedrooms too warm. Decreasing room temperature at night to 65°F or 18.5°C is ideal for sleep, assuming standard bedding and clothing. This may not be feasible in the summer, but you can adjust your bedding and clothing accordingly. Caffeine, alcohol and sleeping pills interfere with sleep quality and sleep time. Some people view lack of sleep as a badge of honour - a sign of drive, ambition and achievement. Even worse, good sleep is viewed by some as a sign of sloth. Nothing could be farther from the truth. Try to exercise for at least 30 minutes most days, but not later than 2 to 3 hours before your bedtime. Avoid large meals and beverages late at night. A large meal can cause indigestion, and a lot of fluids at night can have you running to the bathroom during the night. Some medications can disrupt sleep. If you're having trouble sleeping, check with your health care provider to see if anything you're taking could be contributing to insomnia and if they can be taken at other times of day. Don't take naps after 3 pm. Late afternoon naps can make it harder to fall asleep at night. Relax and unwind before bed by reading or listening to music. Take a hot bath or shower before bed so your core temperature will drop - and a bath will help you relax as well. Keep your bedroom dark, cool, comfortable and free of gadgets (including a TV, cell phone, and computer). Don't watch the clock. Have a comfortable mattress and pillow. Try to spend at least 30 minutes each day in natural sunlight. Don't lie awake in bed. If you are still awake after more than 20 minutes, or if you're anxious or worried, get up and do some relaxing activity until you feel sleepy. There are many reasons not to take sleeping pills; however, there are natural supplements that can help you sleep without the disadvantages of sleeping pills - see below. Walker M. Why We Sleep: Unlocking the Power of Sleep and Dreams. New York: Scribner, 2017. Mercola J. Why sleeping less than seven hours a night is a recipe for ill health and a shortened life span. May 12, 2018. articles.mercola.com/sites/articles/archive/2018/05/12/sleep-deprivation-shortened-life-span.aspx Accessed May 13, 2018. Tips for getting a good night's sleep. NIH Medline Plus Summer 2012 Issue:7(2), page 20 medlineplus.gov/magazine/issues/summer12/articles/summer12pg20.html Accessed May 29, 2018. 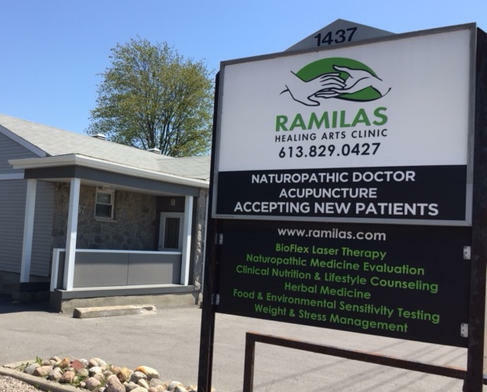 Dr. Ramila is a kind person who fielded numerous neurotic questions and helped me to better understand how and why the body functions the way it does. 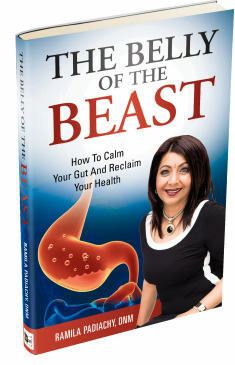 She provided me with an easy to implement lifestyle change to ensure I don’t have to fight with yeast again, as opposed to the ‘band-aid’ approach that Western medicine offered. Dr. Ramila’s compassion is evident in her voice – seeing her in person would have been nice, but is certainly not necessary to complete the treatment. Does it work? If it doesn't work, either get rid of it or get it fixed right away. When did you last use it? Advice varies, but most people say get rid of anything you haven't used in the past 6 months (some say 12 months). Depending on the item and your circumstances, you may find that a more generous time allowance is more appropriate. Do you love it? If not, and you haven't used it in the past 6 months (or so), it's probably time to get rid of it. Don't keep things out of guilt, for example because great aunt Mary gave it to you, but you really don't like it. Does it add value to your life? If not, get rid of it! For many people, clutter can be a drain on their energy; this may be because they waste huge amounts of time looking for things they can't find. Clutter can be bad for our health because we tend to feel as if our life is out of control when we surround ourselves with too many things. Messy homes and work spaces can leave us feeling anxious and overwhelmed. Clutter is rarely recognized as a source of stress, but clearing it definitely lowers stress levels. What are the benefits of decluttering? Decluttering reduces stress by providing a sense of control and accomplishment. It can even be enjoyable! You'll have more space, and you'll be able to find things easily. There's a great deal of advice available for how to declutter, much of it conflicting. I'm going to present a few options, and leave it up to you to decide what works best for you. Many people suggest decluttering by location, e.g. room by room, or even specific spaces within a room. However, Marie Kondo, best-selling author of The Life-changing Magic of Tidying Up, considers this to be a mistake. She recommends sorting by category, not by location. This is because people often store the same type of item in more than one place. This means we repeat the same work in different locations, and may not remember we already have kept what we need of the particular category of stuff. It's up to you to decide how you prefer to proceed. According to Marie Kondo, tidying must start with discarding. You may need to divide the discarded stuff into garbage, recycling, donating or giving to a friend, and sort it accordingly. Basically, there are only two possible decisions: what to discard and where to store the stuff you're keeping. Organize first; buy second. Do not buy a ton of storage pieces and supplies before you go through your home. Discard first, then see what storage you really need; buy just a few bins to start. Don't bite off more than you can chew. Don't plan to spend an entire day to organize your whole house. It's much better to spend a few hours - 2 or 3 - on one project or space. This way, you won't reach the point where you can't make one more decision, and give up in frustration. Complete each task completely. Once you've decided where something is going to go, take it there. Don't let it sit - take the bags and boxes to the trash or recycling immediately. Similarly, take anything to be donated where it needs to go as soon as you have a car load of it. Be prepared to maintain your decluttered space. You need to expect to do regular upkeep to prevent clutter from piling up again. Don't be a perfectionist. The goal is to create a space that works well for your needs, not to look like an ad for a magazine. It's a space that's used by humans, not a staged home for non-existent residents. Give away one item each day. Or give away one item on the first day, two on the second day, three on the third day, and so on, for 30 days. Fill one trash bag. Or one bag to donate to a charity. Designate a spot for incoming papers. This avoids having piles of paper in various locations. Schedule a decluttering weekend. You may not finish everything but you'll make great progress. Note: take breaks so you don't end up on overwhelm. Spend a few minutes visualizing the room. Take a moment to think about how you want it to look. Then figure out what's essential and get rid of the rest. Create a "maybe" box. There may be some stuff you don't use but can't bear to get rid of. Put it in the "maybe" box and look at it again in six months. Usually, it will be easier to get rid of those things, given that you haven't needed them for six months. Take everything out of a drawer. Then sort it into three piles: 1. Stuff that really should go in the drawer; 2. stuff that belongs elsewhere; 3. stuff to get rid of. Clean the drawer, then put the stuff back that should go there neatly. Deal with the other piles right away! Have a conversation with your family/ significant other/ roommate. An uncluttered home is the result of a shared philosophy of simplicity of everyone living in the house. Explain that you really want an uncluttered house, and that you need their help - do this in an encouraging, persuasive way, don't nag. Enjoy your new uncluttered look. Take the time to admire the improvements you've made, and then nip clutter in the bud when it starts to form again. I hope you find this helpful! I know it's hard to get started with decluttering, but it feels great once it's done. It's helpful to realize that acquiring more and more stuff isn't the answer - it doesn't make us happier, and when it creates clutter, it actually has a negative effect on us. The ridiculously thorough guide to decluttering your home. budgetdumpster.com/resources/how-to-declutter-your-home.php Accessed April 6, 2018. The best decluttering advice we've heard. huffingtonpost.com/entry/the-best-decluttering-advice-weve-heard_us_5a0c8906e4b0b17ffce1ffb8 Accessed April 6, 2018. Bourg Carter S. Why mess causes stress: 8 reasons, 8 remedies. psychologytoday.com/us/blog/high-octane-women/201203/why-mess-causes-stress-8-reasons-8-remedies Accessed April 25, 2018. Kondo M. The life-changing magic of tidying up: the Japanese art of decluttering and organizing. Berkeley: Ten Speed Press, 2014. Morris C. Pro organizer tips: what NOT to do when decluttering your home. apartmenttherapy.com/pro-organizer-tips-what-not-to-do-when-decluttering-your-home-168836 Accessed April 6, 2018. Becker J. 10 creative ways to declutter your home. becomingminimalist.com/creative-ways-to-declutter/ Accessed April 6, 2018. 18 five-minute decluttering tips to start conquering your mess. zenhabits.net/18-five-minute-decluttering-tips-to-start-conquering-your-mess/ April 3, 2008. Accessed April 6, 2018. There are many, many different ways to go about a liver or kidney cleanse. This newsletter can only give you some general suggestions. If you are interested in more detail, please make an appointment to see me. The health of your liver and kidneys is very much dependent on maintaining a normal weight. The obesity epidemic along with metabolic syndrome (see our newsletter of August 2017) and type 2 diabetes are major risk factors for nonalcoholic fatty liver disease (NAFLD). So by maintaining a normal weight and avoiding both metabolic syndrome and type 2 diabetes, you've already done a lot to keep your liver happy. If you are concerned about losing weight, please contact our office at 613.829.0427 for a consultation; we offer a really effective weight loss program. Another important preventive measure is exercise. Physical activity almost every day is recommended. Brisk walking or something equivalent is good. Drinking plenty of water is essential, particularly to keep your kidneys healthy. The amount you should drink per day: your weight in pounds divided by 2 equals the number of ounces you should drink to a maximum of 100oz. You also need to eat a healthy diet. Remove toxic foods from your diet. This means processed foods (and all the additives they contain), sugars and other refined carbohydrates, and trans fats (hydrogenated oils). Drink raw vegetable juice. Vegetables ideal for a liver cleanse include cabbage, cauliflower, and Brussels sprouts. You can add other vegetables you like for a more appealing taste, such as carrots, cucumber, beets and greens. You can also add fresh herbs such as parsley, mint, ginger and others to make the juices more enjoyable. Load up on potassium-rich foods. They help to lower systolic blood pressure, lower cholesterol and support a healthy cardiovascular system, in addition to helping to cleanse your liver. Sweet potatoes are actually even richer in potassium than bananas. One medium sweet potato has only 131 calories, yet is rich in vitamins B6, C, D, magnesium and iron. Even though it is naturally sweet, the sugars are released slowly into the bloodstream through the liver, without causing a spike in blood sugar. Tomato sauces contain concentrated potassium compared to fresh tomatoes. Beet greens and spinach are rich in antioxidants, and can be added to your fresh juice recipe, added to salads, or lightly sautéed. Beets also naturally cleanse the gallbladder and improve bile flow. Beans, especially white beans, kidney beans and Lima beans are all rich in potassium, protein and fibre. Bananas help with digestion and help to release toxins and heavy metals from the body, in addition to being rich in potassium. 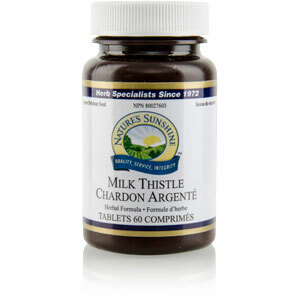 Milk thistle helps to eliminate the buildup of heavy metals, prescription medications, environmental pollutants and alcohol in the liver. The active ingredient, silymarin, helps to strengthen the cell walls in the liver and supports regeneration. Dandelion is not just a weed, it is packed with vitamins and minerals. Dandelion root has a natural diuretic effect, allowing your liver to more quickly eliminate toxins. It also helps strengthen the immune system, balance blood sugar levels, relieve heartburn, and soothe digestive upset. Turmeric or curcumin supports a healthy liver, aids in digestion, helps to restore a healthy blood sugar balance, and is an effective antidepressant. The kidneys also play a major role in detoxifying your body; they clear waste, balance body fluids, form urine and help maintain the body's pH, and regulate blood pressure. They process the blood to sift out waste products and extra water - these become urine. Helpful supplements include Nature's Sunshine products K, Potas, Parsley, GreenZone (spirulina and chlorella), in addition to Dandelion, CurcuminBP, and Ginger. Recommended herbs include stinging nettle, burdock, ginger and turmeric. High-antioxidant fruit: Cranberries are especially good because they also prevent UTIs (urinary tract infections). Black cherries and blueberries are also excellent. Beets stimulate the production of NO (nitric oxide) which increases circulation and naturally cleanses the blood, as well as supports kidney function. Seaweed contains spirulina and chlorella which have been shown to detox heavy metals from the body. You can also obtain these from Nature's Sunshine's GreenZone. Lemon juice (freshly squeezed) in water is recommended first thing in the morning. It helps with digestion and detoxification. It also helps to prevent kidney stones. Spinach is high in B vitamins and certain antioxidants that help cleanse the entire body, especially the kidneys. I hope this helps you with your personal 'spring cleaning'. Stay tuned - next month, we'll look at the benefits of decluttering your home. Definition & facts of NAFLD & NASH. niddk.nih.gov/health-information/liver-disease/nafld-nash/definition-facts November 2016. Accessed March 29, 2018. Mayo Clinic Staff. Nonalcoholic fatty liver disease. mayoclinic.org/diseases-conditions/nonalcoholic-fatty-liver-disease/symptoms-causes/syc-20354567 March 7, 2018. Accessed March 29, 2018. Axe J. Detox your liver: try my 6-step liver cleanse. draxe.com/liver-cleanse/ Accessed March 28, 2018. Hills J. Kidney cleanse: the best foods an herbs for kidney health. healthyandnaturalworld.com/best-foods-and-herbs-to-cleanse-your-kidneys/ Accessed March 28, 2018. Axe J. How to do a kidney cleanse to boost energy & heal your adrenals. draxe.com/kidney-cleanse/ Accessed March 28, 2018. "In May 2005, I contracted a viral throat infection which persisted for several weeks and made swallowing difficult. A medical test confirmed that the infection was not bacterial and no treatment was prescribed. During this time, Ramila detected a virus in my body through sensitivity testing and cleared it from my body a week after detecting it. My throat infection began to diminish within a few hours of the virus being clearing and it disappeared the next day." What's the history of low intensity laser therapy (LILT)? Research on the effectiveness of LILT (in both animals and humans) dates back to the 1960s and 1970s, with a lot of activity from the '80s onward. So it's been used for well over 40 years. While researchers commonly conclude that more research is needed, there is still consensus that LILT is an effective therapy. In a meta-analysis of the use of LILT in tissue repair and pain control, it was concluded that "laser phototherapy is a highly effective therapeutic armamentarium for tissue repair and pain relief." LILT is a form of laser medicine that uses low level (low power) lasers or light emitting diodes to alter cellular function and stimulate healing. The laser often referred to as a 'cold laser', is a hand-held device which can be about the size of a flashlight. Laser therapy is non-invasive and pain-free. It uses red and infrared light to target inflamed, injured and diseased tissues. Photons of light stimulate ATP (adenosine triphosphate) production which accelerates the healing process. (ATP is able to store and transport chemical energy within cells.) Patients recover from musculoskeletal and peripheral nerve injuries with less scar tissue, accelerated cell regeneration, and improved function. Angiogenesis and neovascularization: An increase in oxygenated blood to the injured tissue accelerates tissue healing. Collagen production: Proper alignment and remodelling of collagen reduces internal scar formation and enhances tissue elasticity. Muscle regeneration is increased and muscle atrophy is reduced: Repair of damaged muscle fibres and activation of myogenic satellite cells leads to regeneration of muscle tissue. Inflammation and edema are reduced: An increase in inflammatory mediators, such as macrophages, neutrophils and lymphocytes, accelerates and resolves the inflammatory process. Nerve regeneration is increased: Proliferation of growth factors promotes neuronal sprouting and myelin formation for optimal nerve recovery. Cartilage production is increased: Increase in chondrocyte and collagen production allows for improved cartilage deposition and joint function. Bone formation is increased: Proliferation of osteocytes and remodelling of bone extracellular matrix results in accelerated bone repair. The number and length of treatments will vary according to the condition being treated and its severity, as well as individuals' variation in their reaction to LILT. There is also variation in the speed with which pain and inflammation are reduced and eliminated but, in most cases, there is noticeable improvement within a few treatments. In fact, most people start seeing positive results after the first treatment. Laser therapy is a promising option for treating many conditions involving pain and inflammation, especially for people who prefer to avoid medications or surgery. It is also often used when other treatments, such as medications, surgery and physiotherapy, have failed to relieve pain. Enwemeka CS, Parker JC, Dowdy DS et al. The efficacy of low-power lasers in tissue repair and pain control: a meta-analysis study. Photomedicine and Laser Surgery 2004;22(4):323-329. 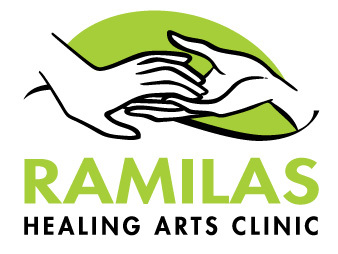 Ramilas Healing Arts Clinic Low Intensity Laser therapy. Pamphlet available from Ramilas Healing Arts Clinic on request. Low Intensity Laser Therapy (LILT). Healthworks Chiropractic & Wellness Centre healthworkscentre.com/services/low-intensity-laser-therapy Accessed December 7, 2017. ATP molecule. https://www.worldofmolecules.com/life/atp.htm Accessed March 1, 2018. Schnee AK. Cold laser therapy pain management treatment. spine-health.com/treatment/pain-management/cold-laser-therapy-pain-management-treatment Updated February 13, 2009. Accessed December 7, 2017. Laser therapy - conditions treated with LILT. GrassRoots National Health & Wellness. grassrootsnaturalhealth.ca/PDF/Laser-Therapy-Conditions-Treated.pdf Accessed March 1, 2018.